Is Iceberg Lettuce Bad For You? - Here Is Your Answer. Is Iceberg Lettuce Bad For You? 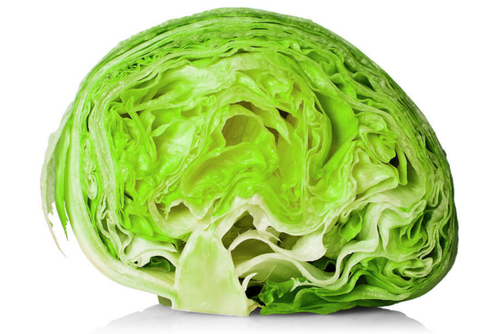 No, iceberg lettuce is not bad for you. It is lower in nutritional value than other forms of lettuce, but it does have some slight health benefits—including a low-calorie content and fair amounts of vitamins K and A. Not all vegetables are created equal. And although we might think we’re making a health-conscious choice by eating a salad or adding fresh lettuce to a wrap or sandwich, any nutritional boost will depend heavily on the type of lettuce selected. That being said, there are many different kinds of lettuce... iceberg, red leaf, romaine, and butterhead. Out of all of those, iceberg lettuce is perhaps the most known here in the United States. It packs quite a refreshing crunch, which is why it’s used commonly in salads and sandwiches. 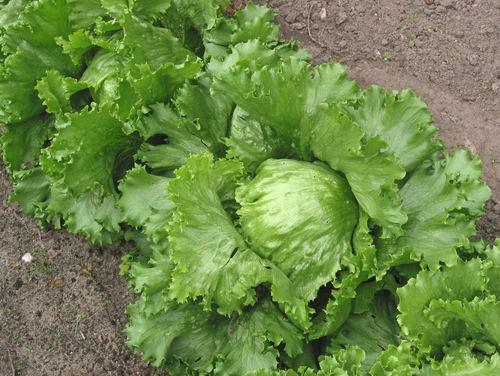 Its signature crunch is also what makes it lower in nutritional value: iceberg lettuce is comprised of about 95 percent water and contains eight calories per one-cup serving, which doesn’t leave much room for nutrients. Though they may be less significant in quantity, some essential vitamins and nutrients are present in iceberg lettuce. For instance, iceberg lettuce is actually a fairly decent source of vitamin K. A crucial nutrient, vitamin K supports bone health and plays a key role in your body’s ability to form clots to stop the bleeding from open wounds. If you’re looking for ways to get more vitamin K, two cups of iceberg lettuce (about the amount of a hearty salad) provides around 39 percent of the daily recommended value for women and 29 percent for men. Iceberg lettuce also offers a fair amount of vitamin A. 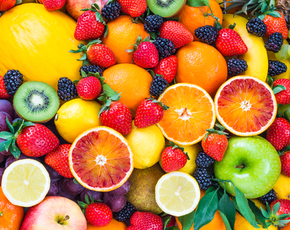 Like vitamin K, vitamin A helps your body build strong bones, and supports the health of your skin, eyes and blood. Two cups of iceberg lettuce provides about 31 percent of the daily vitamin A recommendations for women and 24 percent for men. All in all, iceberg lettuce really isn’t that bad for you—but you should know that there are healthier alternatives out there. For example, romaine lettuce is similar in taste, but offers more nutrients, including high amounts of fiber and vitamin C. Kale is even better, providing all of that along with an abundance of antioxidants. Lastly, there’s a reason Popeye picked spinach: it boasts even greater health benefits! The dark, leafy green is packed with fiber, iron, vitamins, minerals and even a good dose of protein. So, if you’re not ready to give up iceberg lettuce just yet, try incorporating a blend of it with the healthier alternatives mentioned above. You don’t have to forego the crisp texture you love, and you will get significantly more nutrients than you would eating iceberg lettuce alone.